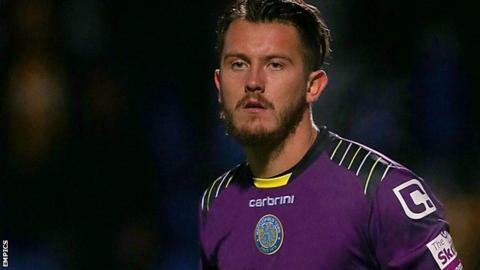 Conference side Macclesfield Town have agreed a deal with goalkeeper Rhys Taylor to stay until the end of the season. The ex-Wales Under-21 international began his career at Chelsea and had loan spells with Crewe and Rotherham. The 24-year-old has been with Macclesfield since January 2013 and could make his 100th appearance in the game against Lincoln on Saturday. Taylor has helped the Silkmen to third in the league this term.